The Trans-Himalayan Jeep Safari is an excellent opportunity for those who love the thrill and excitement of travelling High Mountain passes. 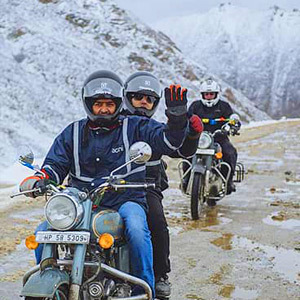 The weeklong tour is an exciting mish mash of mountain passes, wildlife treasure troves, scenic lakes and barren landscapes that combines to create a trans-Himalayan experience. Listed below is the day wise description of ‘Tran-Himalayan Jeep Safari’ tour for your kind perusal. 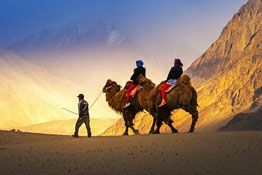 Upon your arrival at Kushok Bakula Airport in Leh, out tour representative will assist you in smooth transfer to the hotel. For rest of the day, acclimatize yourself with the environment of Ladakh. Proceed on a walking tour of the Leh market in the evening. 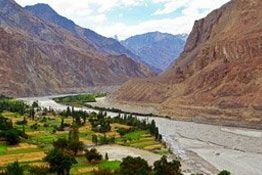 Post an early morning breakfast, embark on a full day sightseeing tour of Indus Valley which include visit to Phiyang and Spituk monastery. Lunch will be served in a picnic type setting. 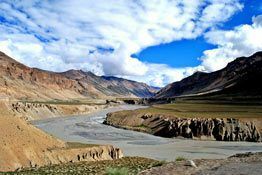 In the afternoon, witness confluence of Indus & Zanskar River and visit Hall of Fame. 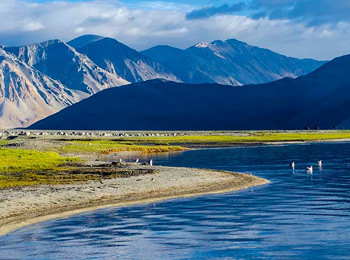 Leave on road to Nubra Valley (125 kilometer from Leh) via Khardongla Pass (situated at an elevation of 18360 feet). Arrive in Nubra Valley by noon followed by check in at the hotel/camp. Later, head towards Diskit Monastery and enjoy camel safari in white Sand Dunes. Post breakfast in the morning, visit Samstanling Monastery. Head back to Leh, en route eat packed lunch. Arrive in Leh by evening followed by shopping tour in local markets. Early morning, leave on road to Tsomoriri Lake. En route eat packed lunch. By late noon, arrive in Tsomoriri and explore the marine life and bird species around the lake. 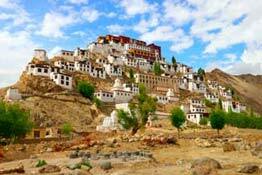 A tour of Korzok village will enable cultural insight into Ladakh. Early morning, hit the road to Tsokar Lake. En route, visit Geo-thermal hot springs near Puga, thukjey village, see nomads along Polokongka pass and salt water Tsokar Lake. 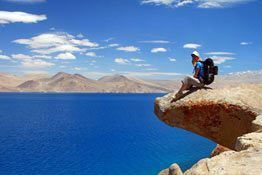 One of the famous protected wetlands of Ladakh, Tsokar Lake is home to various migratory birds from Central Asia. Early morning, leave on road to Jispa via Sarchu plains. En route, cross Leh-Manali highway. Enjoy the village tour of Jispa and converse with the local people. Post a leisurely breakfast in the morning, drive to Manali via Keylong town. En route, cross Rohtang Pass (situated at 3,980 meters height) and drop at your hotel in Manali.